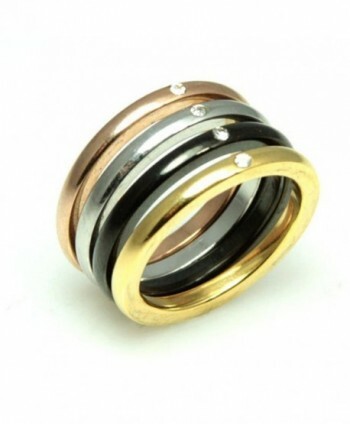 Material:Stainless Steel,Smooth Edge Comfort Fit Band,Hypoallergenic. 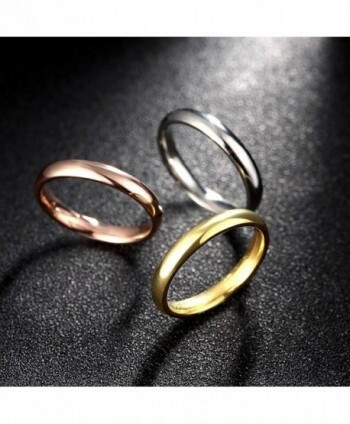 Feature: Anti-Allergic, Never Fade, No Rust, Scratch Resistant. 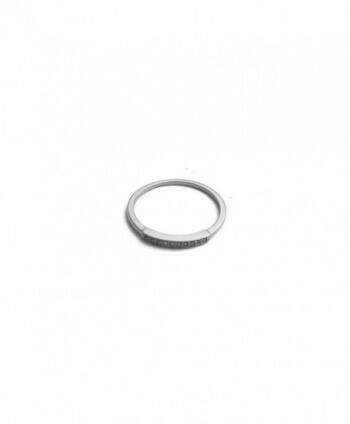 Width:3mm, Size:6,7,8,9. 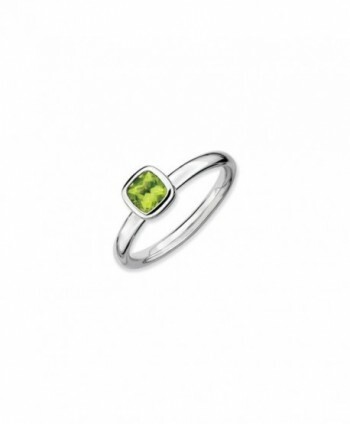 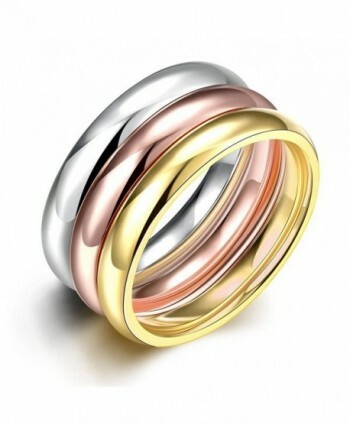 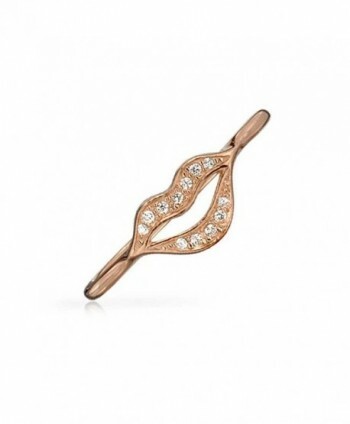 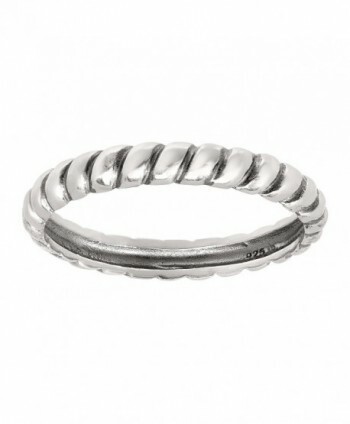 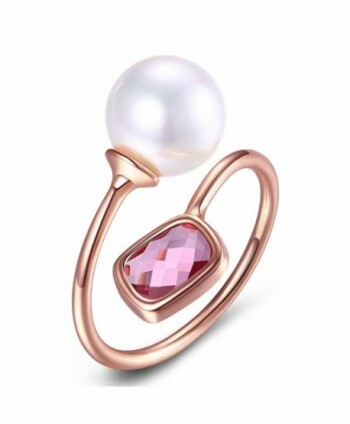 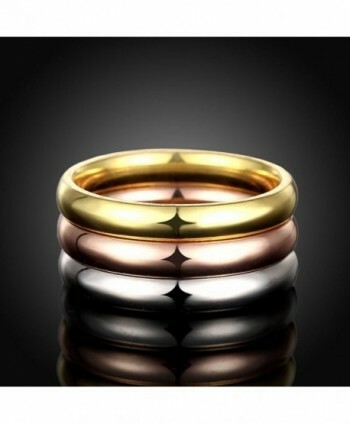 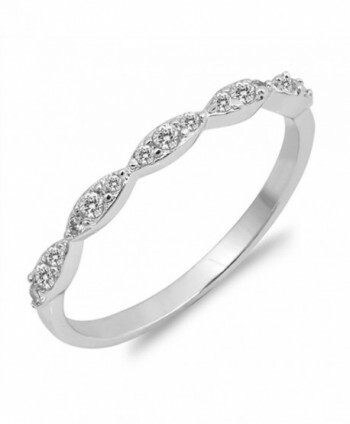 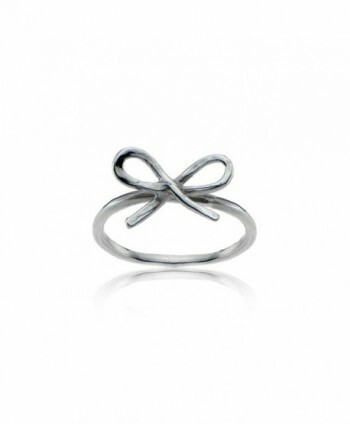 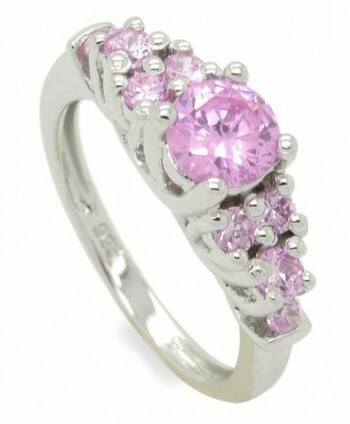 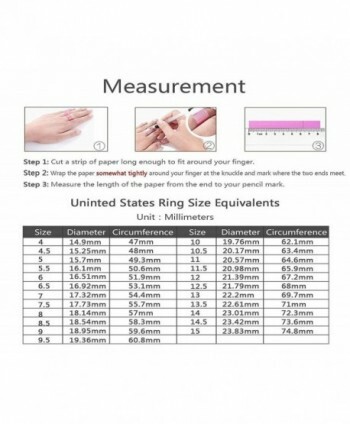 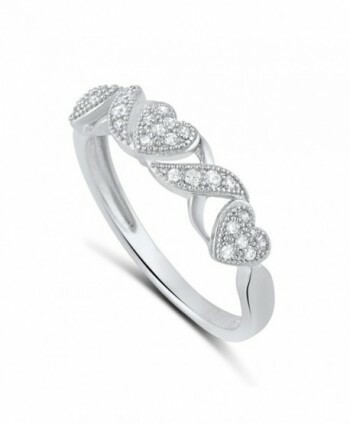 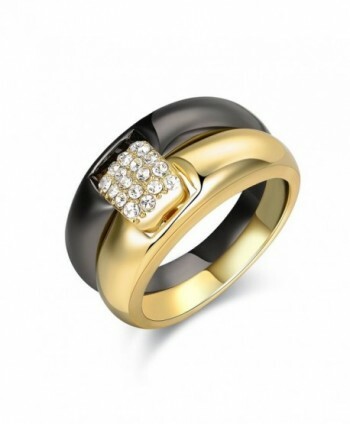 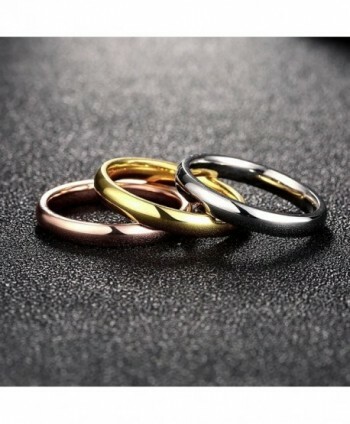 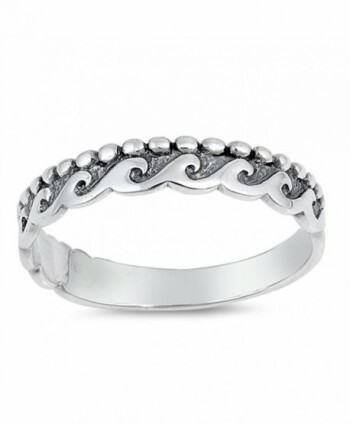 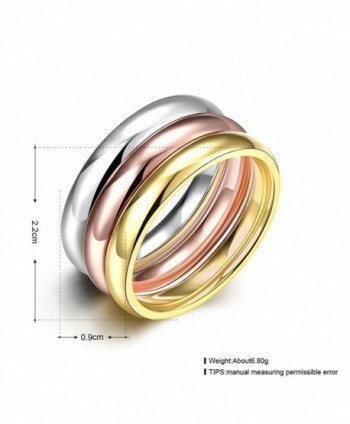 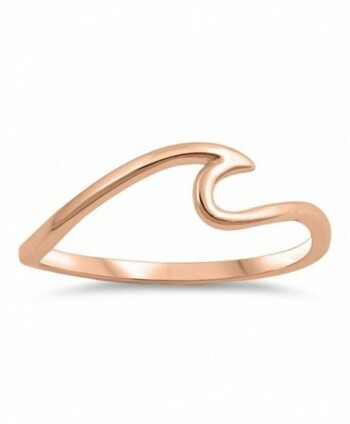 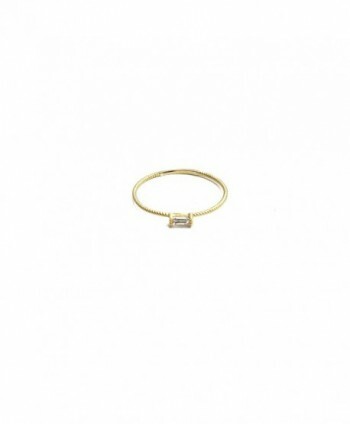 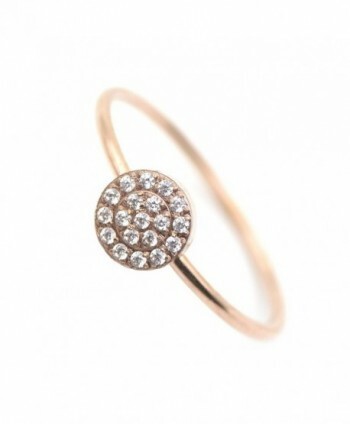 Weight:6.8g, Package: 3 x Rings,Three-Colour:Platinum/Rose Gold/Gold Plated. 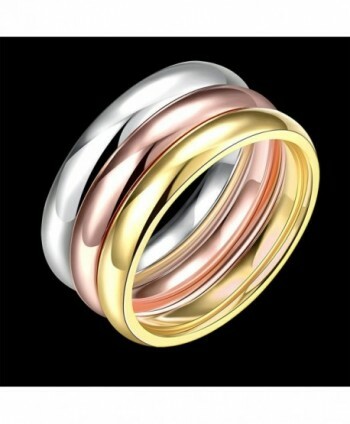 Christmas Gift, Valentine's Day Gift, Birthday Gift, Wedding Anniversary Entertainment Gift!